So now that the official launch date is out of the bag, what might the next few weeks bring to Elite: Dangerous? I still have a ton of background reading to catch up on, so some or all of these questions may already have answers somewhere but I’m going to ask them anyway. About the 16th – is that a boxes-on-shelves date or the first digital release date? I’m guessing the latter otherwise schedules might be very tight. Will there be physical releases appearing in game stores too? I hope so. And in that case, what might we see in terms of new stuff pouring out soon? Frontier’s Newsletter 48 included a sneak peek of a new ship that’s incoming and after a little debate on Twitter, we think it could be a Python. Or a Dropship. Or something. But not a Boa. Unless maybe it is. But in any case, where does that leave the release version lineup? 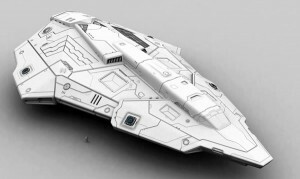 If memory serves correctly, I think we have yet to see the Mamba, Shuttle, Gecko, Krait, Fer-de-Lance, Moray and Transporter. And the Python and Boa depending on which that picture is or isn’t. Oh, and Thargoids! And escape pods! So a bumper crop of ships may be arriving soon, but what of other game features? We already have a ton of stuff we didn’t have back in the day: interdiction, exploration, real docking, jaw-dropping graphics and audio, and systems… so many systems. We have ships that weren’t in the “original” too: Eagle, Hauler, Type 6, Type 9, Dropship and Imperial Clipper. Will we soon see passengers (and therefore passenger berth upgrades)? Trumbles? I think they were C64 version specific, but… Trumbles! Awww. Anyway, whatever happens between now and the 16th of December, it’ll be an exciting few weeks. We’ll report the outcomes in blog posts and on our social media channels, and you can also follow live from 19:00 GMT/20:00 CET via esa.int/rosetta.